A contemporary girl finds her life magically transformed after learning her father’s identity. Like her namesake, 12-year-old Owl McBride has feathery, “white-blond hair,” “almost yellow” eyes, and a nose on the “beaky side,” but she lives a nearly normal life with her single-parent mother. Raised on her mother’s stories about meeting Owl’s father in “magical wintry lands,” Owl’s otherwise clueless about his identity. As winter approaches, Owl’s skin starts prickling, turns blue white, and sparkles with frost, triggering an “almost overwhelming” need to know about her father. 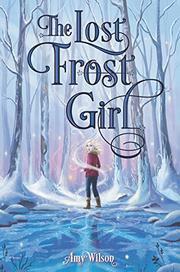 When her mother reveals that Jack Frost, the legendary frost spirit, is Owl’s father, she’s stunned. During their first frosty encounter, Owl finds Jack a wild, elemental creature lacking humanity, while he eschews his paternity and views her as a challenge. Seeking Jack’s guidance to control her emerging powers, Owl journeys to his winter kingdom and eventually confronts his elemental rivals, hoping to earn her rightful place as his daughter. Despite her new powers, Owl remains a vulnerable, credible girl, grounded by her best friend as she learns what it means to be Jack Frost’s kid. Her lively, suspenseful, first-person narration alternates with dreamlike sequences featuring such earth spirits as the North Wind, the Queen of May, and the Green Man.